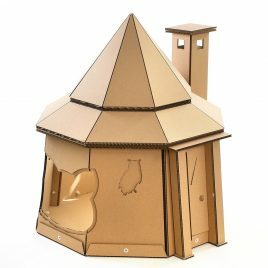 – Handmade; – Unique Hagrid’s House design; – Eco-friendly, no glue, Recycled Corrugated Cardboard; 100% Recyclable; – Instantly attracts your cat; – Strong enough (made from 4 mm (5/32 in) and 6 mm (15⁄64 in) corrugated cardboard, the favorite material of your cat); – Easy to clean, with a slightly moist tissue; – Easy to assembly, equipped with a nice visual instruction included in the shipping pack; – Easy to disassemble to save some space when it is necessary; – Comfortable final assembled house dimensions: length: 605 mm ( 23 13⁄16 in ) width: 620 mm ( 24 13⁄32 in ) height: 660 mm ( 25 63⁄64 in ) The The Good Giant Cardboard Cat House is designed to be assembled by you. It decreases the shipping cost and makes it more environmentally friendly. The size of the shipping pack is 2 x 600 x 600 x 40 mm (23 5⁄8 x 23 5⁄8 x 1 37⁄64 in). When the product is delivered you should find out the user manual and following the instructions, to assembly the final product. All necessary panels are included in the order pack. You will need only a screwdriver and time to get some fun! 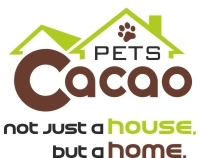 You can always paint our products if the current color does not appeal to you. The best option would be to use acrylic based spray paint. Make sure to test the paint on a different piece of cardboard before painting the product, and do it outside to avoid unnecessary cleaning! Let us know if you see any issues during the assembly process. If you would like to order more than one item or would like to combine several different products in one order, please send us a message to get a better shipping price.